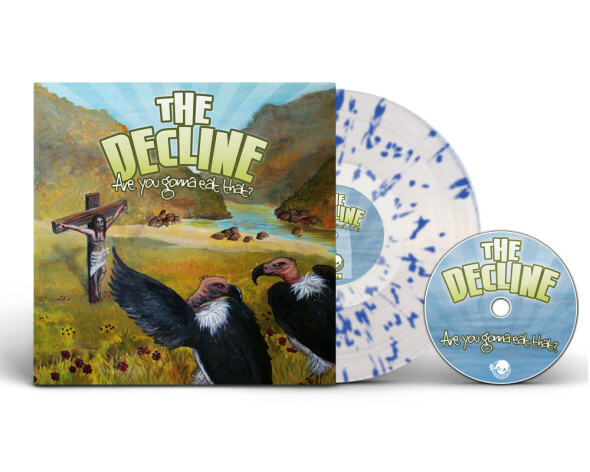 Following on from the recent success of the Local Resident Failure LPs, we’re very happy to be teaming up with Pee Records (Australia) and Oxford Records (USA) again to release the awesome ‘Are You Gonna Eat That?‘ by Aussie skatepunks The Decline, on vinyl for the first time! This brilliant album of melodic and fun skatepunk has needed a pressing for a while, so are happy to be getting this out there! The LP comes on clear vinyl with blue splatter and is limited to 250 copies. Each LP comes with a CD version as well! These wont stick around for long, so head over to our webstore to pick one up now, and get ready to see The Decline live in Europe this summer!